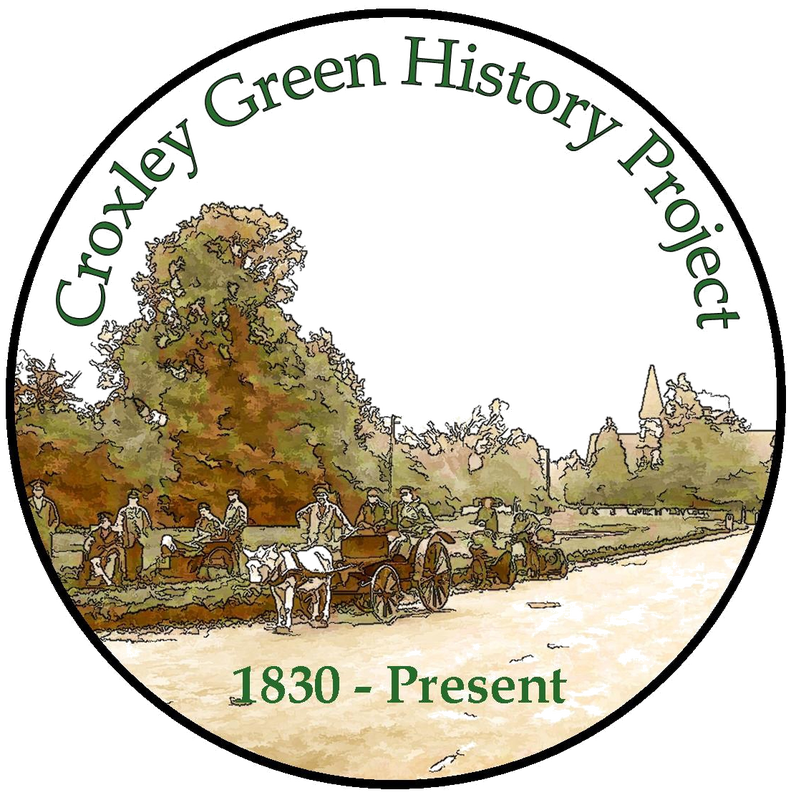 The Croxley Green History Project website has been set up in such a way to establish a growing historical record of the parish that can be added too for future generations to access enjoy and learn from. The majority of the content as at 2015 has been collected over a period of 25yrs. To this has been added memorabilia, given,loaned or copied and reproduction improved providing as much history to make an interesting start. Hopefully this will encourage past and present residents to add to the website. The purpose of the website is to make available a resource for researchers, schools and families. A starting point to learn about the place in which Croxley Green residents lived and enjoyed a life of a semi urban/rural life. Much of the recent content has been kindly made available from other sources including The Archivist at The Paper Trail Three Rivers Museum and again many local generous residents. Early photographs made available for its content may show lost views or buildings that have been overtaken by development. The originals were of poor quality. Many hours have been spent enhancing these to bring them up to a standard that was worthy of their original state. It is not a website that is intended for its content to be copied and used for profit by individuals. However, should any of the content be of use for educational or local interest purposes then permission to use it should be sought from the association and if required and available an original copy can be obtained. The CGHP does not necessarily hold the copyright of some of the content and therefore to avoid and compromises please use the website contact form for advice. 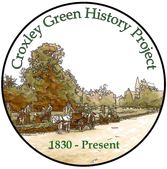 Using the Croxley Green History website: Please note that the intellectual property rights in all content comprising or contained within this website address (URL) is owned by Croxley Green Residents Association, and other copyright owners as specified. Reproducing content from the Croxley Green History website: Website content that is Croxley Green History copyright may be reproduced for the non-commercial purposes of research, private study, criticism and review, or for limited circulation within an educational establishment (such as a school, college or university) though written permission must first be sought. Reproduction of the Croxley Green History website content on any social media platforms. Publication of any unauthorised translations or transcriptions of website content, without prior agreement in writing. Use on personal social media accounts, provided the individual is not promoting themselves commercially. Statutory exceptions to copyright also apply in certain situations. It is the user’s responsibility to satisfy themselves that an exception (such as fair dealing criticism and review, quotation, or reporting a current event) applies. Commercial use Creative Commons defines commercial use as “reproducing a work in any manner that is primarily intended for or directed toward commercial advantage or monetary compensation”. Use by commercial galleries and auction houses. Under charity law, conflicts can arise when one charity is seen as assisting another. Therefore Croxley Green History Project needs to treat other charities (and their trading arms) as if they were ‘commercial’ organisations. Croxley Green History Project actively develops agreements with copyright holders and other licensing agents for the artists they represent. Whilst these agreements enable Croxley Green History Project to illustrate images, the permissions do not extend to any other party, unless specified specifically in writing. Legal notice: Croxley Green History Project is committed to respecting the intellectual property rights of others. We have therefore taken reasonable efforts to ensure that the reproduction of all content on the pages of the Croxley Green History Project website and other digital publications (including, but not restricted to, images, text and video) is done with the full consent of copyright owners. Depending on local laws, you may be unable legally to download or copy certain works in your country. It is your responsibility to ensure that your local law permits you to do this.